Receive a free bottle of Lourdes water with every font! 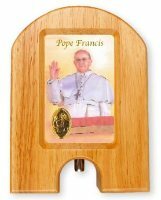 Pope Francis Wood Holy Water Dispenser. 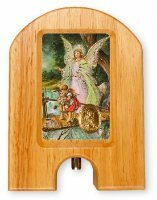 Guardian Angel Wood Holy Water Dispenser. 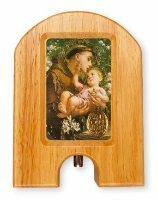 St.Anthony Wood Holy Water Dispenser. Florentine Madonna & Child Holy Water Font. Miraculous Luminous Holy Water Font. Luminous Lourdes Holy Water Font. Holy Family Luminous Holy Water Font. Divine Mercy Luminous Holy Water Font. Miraculous Porcelain Font with Gold Cross. Holy Family Porcelain Font with Gold Cross. Divine Mercy Porcelain Font with Gold Cross.